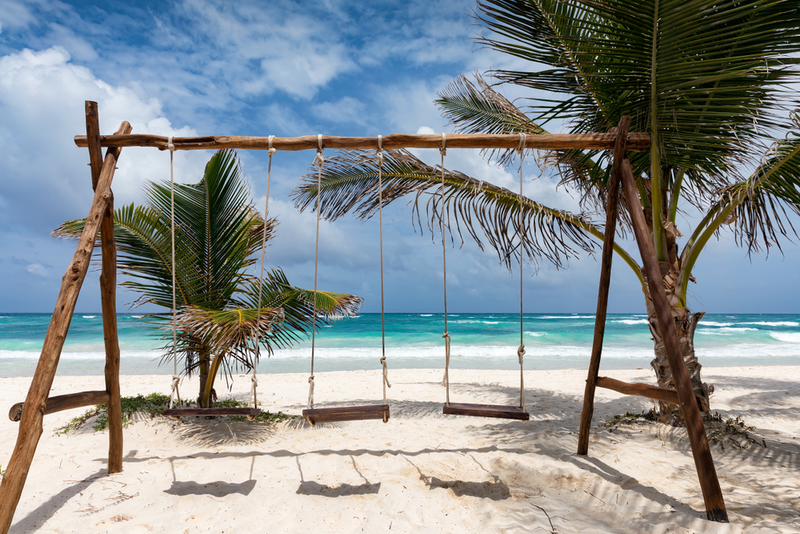 Tulum offers the perfect combination of total relaxation, tranquility, and seclusion, yet can fill your day with the many interesting and rich activities in the area. You will find Tulum about 1-hour drive south of Playa del Carmen and only 25 minutes south of Akumal. 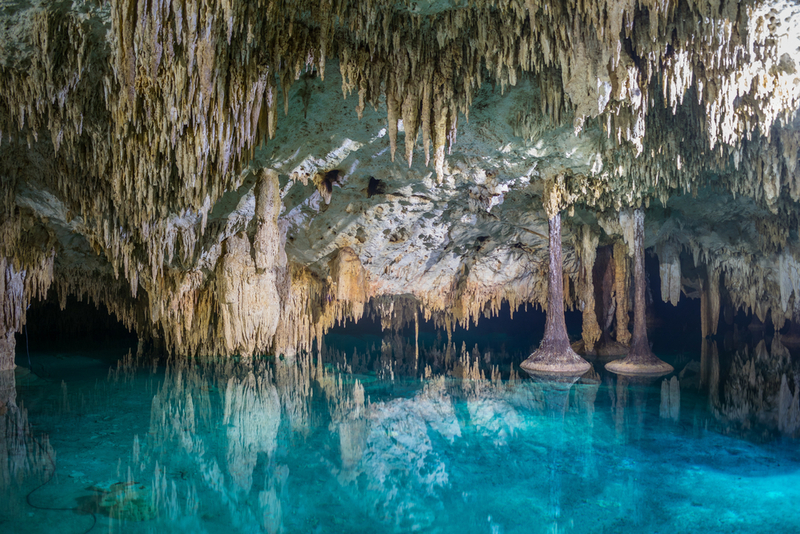 It was declared a World Heritage Site by UNESCO. One of the most important sites in Tulum is its Mayan ruins, located on a cliff facing the Caribbean Sea; with warm starry nights and clear turquoise waters lies the only archaeological site that sits on the seashore. It is the most photogenic site in the region and perhaps the whole country. Under the cliff is Paradise beach, considered one of the best beaches in the Riviera Maya, from which excursions are organized to the famous Mesoamerican Reef Barrier. 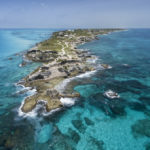 The Sian Ka’an Biosphere Reserve measures half a million hectares and covers all possible scenarios: beaches, coral reefs, rainforest, dunes and natural wells. The Tulum Ruins will be found on the main highway as you head south to Tulum. The can be accessed by walking, bicycle or taking a taxi. Once you arrive in the ruins, the entrance fee is minimal, about 5USD per person. 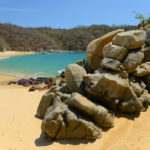 You can explore the ruins on your own, hire a certified guide, and head down to the beach below to cool off. If accessing the ruins from the main road, they do have a flea market area for souvenirs and snacks. Tulum town is a little further down the same road and is slowly developing. 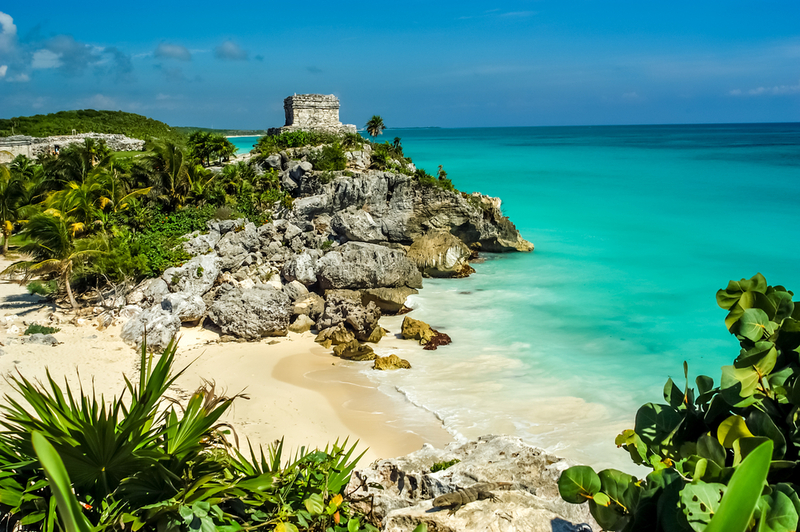 According to the 2010 census, the population in Tulum was just under 20,000 inhabitants. 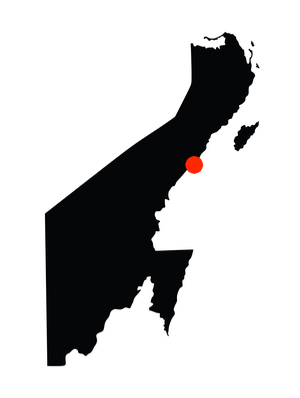 The town itself is about 3 miles from the beach. Here you can find a selection of small hotels, restaurants, and shops. Like any town, there will be banks, pharmacies and other useful things like car rental, a medical clinic, and convenience stores. 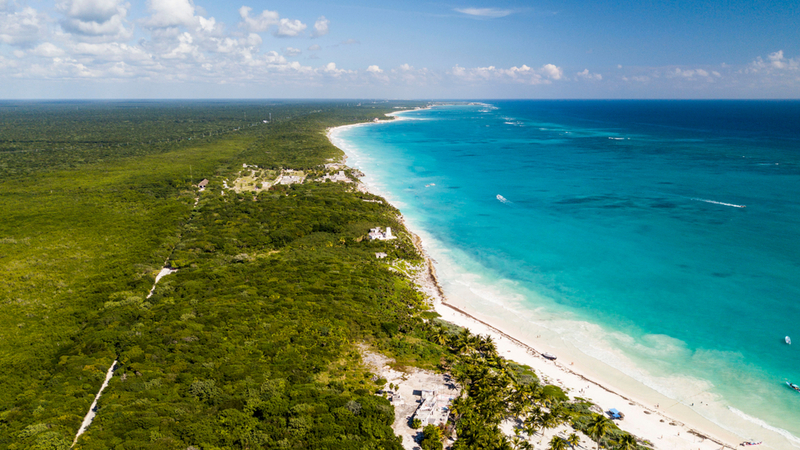 The Tulum beach strip is a small road that runs the length of the beach and leads you to the arch, which is the access to the Sian Ka’an biosphere. You can find accommodation on both the beach side and across the road. This area has a very relaxed, bohemian feel to it. Almost everything is accessible on foot in the main area, and bicycles are available for rent. Accommodation will range from camp sites to budget and luxury cabanas. The beach is public the whole way along and you can find many options where you can dine or enjoy a drink with the sand between your toes.